Featuring Talmud with "Tzuras Ha-Daf"
The Judaic Classics Torah Treasures is the ultimate tool for Torah study! 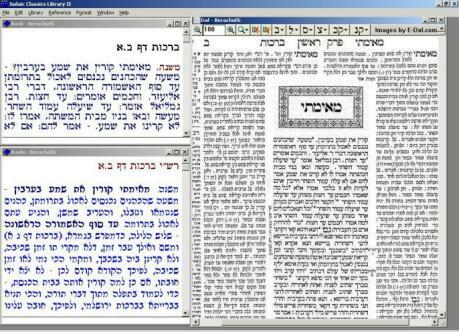 Its "Tzuras Ha-Daf" presentation of the authentic Talmud page, combined with an easy-to-use search program, makes this the most useful Torah reference CD available. 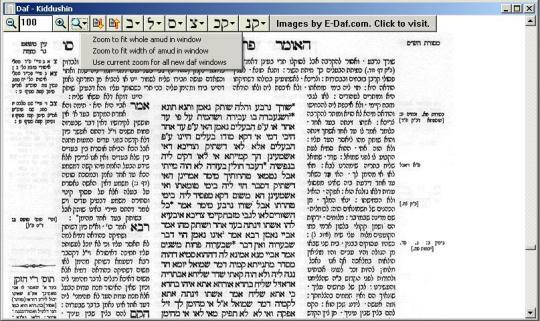 Use its versatile search program to browse the text, or open any page of the Talmud and click to see the actual page as it appears in the printed Talmud! Entire Talmud can be viewed and printed with or without "Tzuras Ha-Daf"
Judaic Classics Torah Treasures makes the perfect Hanukkah, Bar/Bat Mitzvah or graduation gift! All texts are in Hebrew only. Windows PC Yes PC with Windows 98/ME/2000/XP, CD-ROM drive, 1.7 GB free hard drive space for full installation, including Tzuras Ha-Daf. Installation without Tzuras Ha-Daf feature requires 80 megabytes of free hard drive space.